Toreto, a prominent leader in the innovative and portable digital product market, announces the launch of Bloom SmartWatch. The newly launched “Bloom” keeps a track of your health while letting you create your own style statement; it not only keeps you updated on your daily physical activities but also helps you monitor various other aspects. Toreto Bloom immaculately measures the number of calories burnt, tests blood pressure, tracks heart rate, while keeping a count of the steps taken; in order to improve the users’ fitness. 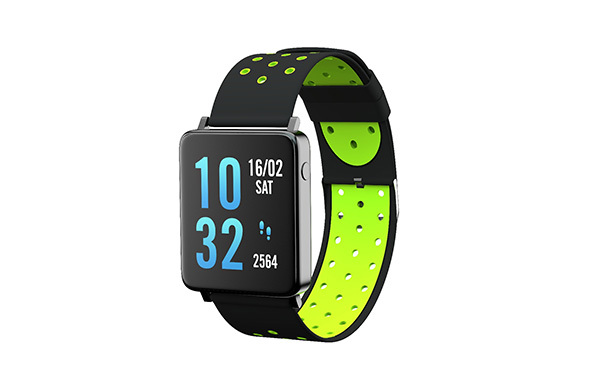 This stylish SmartWatch works well with all the Android, iOS devices and is waterproof as well. Bloom enables users to follow social media updates without looking at your phone. The inbuilt pedometer of the SmartWatch lets you keep a track of steps which helps you track the steps you have taken in the entire day, along with the distance you have travelled. As you connect your Smartphone to your watch via Bluetooth, you automatically get Call and SMS notifications on your device. Also, you can track WhatsApp, Facebook Messenger, WeChat, Twitter and other social media app notifications on your watch easily. Unlike other SmartWatches, one of Bloom’s amazing features enables you to choose any image on your phone and put it as your watch’s wallpaper.